Blue of the Heavens - monemades Webseite! After weeks and weeks of 'must finish' knitting, I finally had some time to cast on a project just for fun. 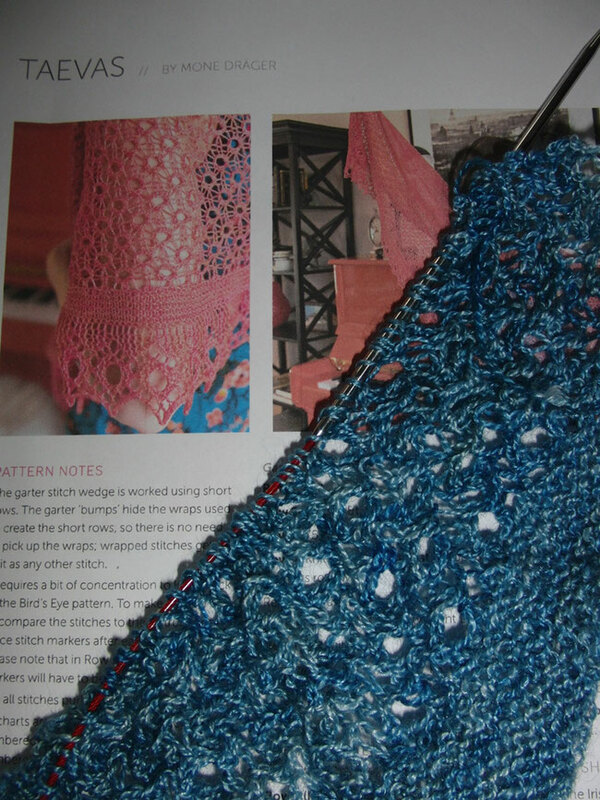 And even though I am not too fond of knitting a pattern more than once, I've decided to reknit Taevas, the shawl I designed for SweetGeorgia Yarns last year. 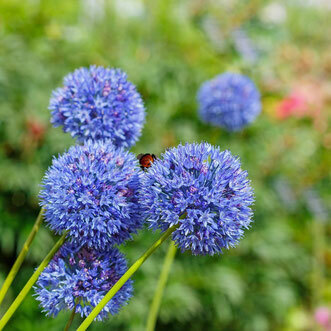 When I came up with the design I always imagined it in blue and because one of the stitch patterns used reminded me of the blossoms of alliums called Blue of the Heavens.